The Onkaparinga ‘Diamond Rose’ Cotton Quilt and Cotton Pillow Protectors are quilted with a stunning unique rose design. Filled with luxurious all natural cotton fill and casing they are functional as well as beautiful. Benefits of the ‘Diamond Rose’ Cotton Quilt is its functionality as an all season quilt. The natural fill and casing is warm in winter and cool in summer. Cotton quilts and pillow protectors are made with all natural material, soft and comfortable and cooler than some other quilt materials. Cotton breathes naturally for a fresh light feeling, and suits a warmer sleeper. 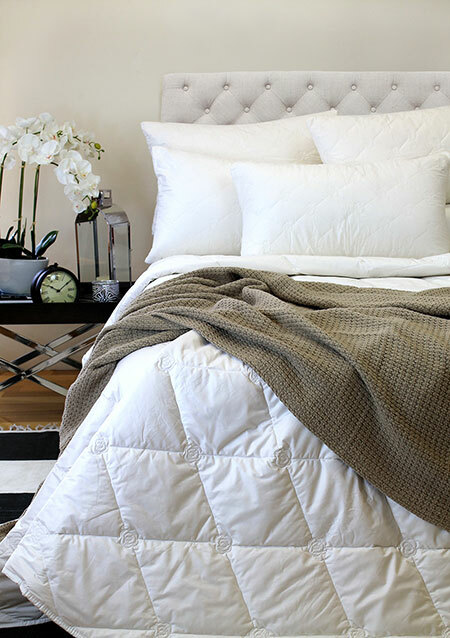 Cotton quilts are non-allergenic so can be a great choice for allergy sufferers. 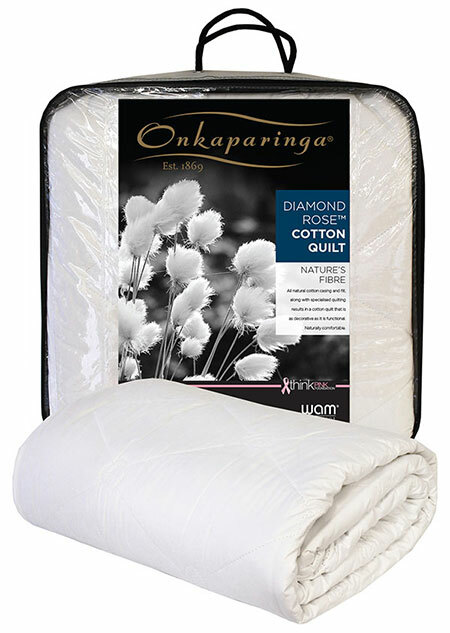 The Onkaparinga Cotton Quilt ‘Diamond Rose’ is a luxurious Cotton Quilt. The gorgeous diamond rose quilting design is decorative as well as functional, keeping the natural cotton quilt filling in place to ensure comfort all night long. Machine washable and made with all the quality materials you would expect from Onkaparinga. 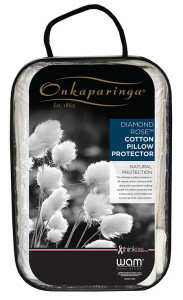 With all the benefits of natural cotton, the Onkaparinga Cotton Pillow Protector is the ultimate in pillow protection. Luxuriously filled with all natural cotton and encased in natural cotton with the unique ‘Diamond Rose’ quilting design, the Cotton Pillow Protector will have you resting comfortably. Dust mite resistant, machine washable and suitable for year round use, the ‘Diamond Rose’ Cotton Pillow Protector really is the finishing touch to any bed. 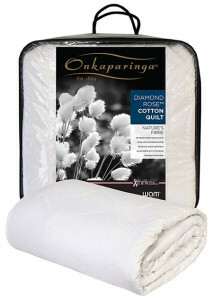 Visit Onkaparinga to view the entire range of bedding and accessories.